One of the thing a typical smartphone users love is quick charge, ability to have 100% charge within few minutes. 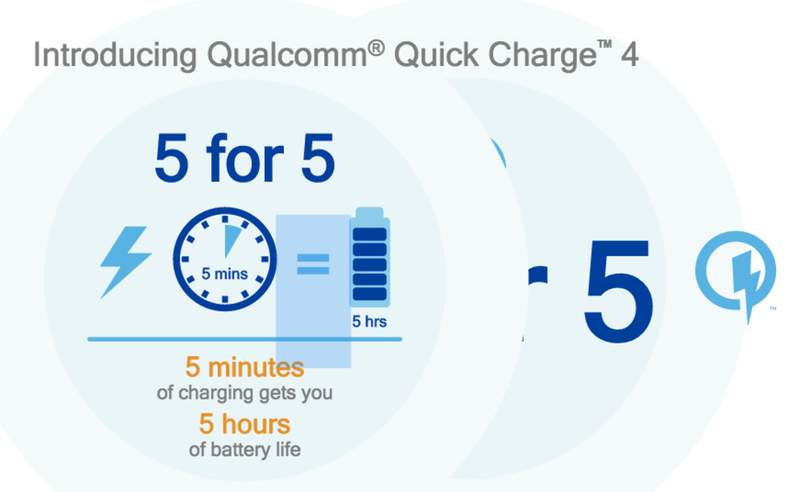 A bigger battery will always means more time of charging but Quick charge 4.0/4.0+ is here to solve that. With Quick Charge 4, smartphones can reach up to 50% of battery charge in just 15 minutes of charging, and in just 5 minutes of charge a device can get up to 5 hours of talk time. Quick charge 4.0/4.0+ has been around for over a year, but for one reason or the other, most devices are stuck with Quick charge 3.0. ZTE Nubia is also compatible with Quick charge 4 but Qualcomm didn’t mention it with reasons unknown to them. The upcoming LG G7 is expected to have QC 4.0.